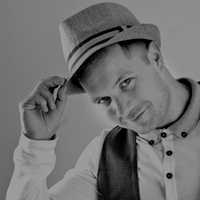 With his incredible sound-a-like voice, this tribute impersonates the stars of yesterday and today to recreate that'swing' mood and bring you such memorable songs as... Fly Me To The Moon, Can't Take My Eyes Off You, Amore, Mack the Knife, Come Fly With Me, Sway, Unforgettable, It Had To Be You, Mr Bojangles ...and many more! 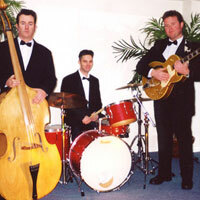 These are our specialist Swingin' Jazz standards incarnation, providing great Jazz and Swing music played 100% live for background atmosphere in the lounge bar, at dinner or during a reception. 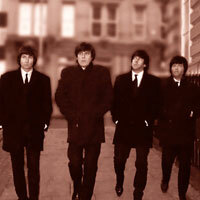 They are a versatile function band and wedding band who pay tribute to all the great artists from the 50's to the present day, fine tuning their repertoire to suit every audience and occasion. 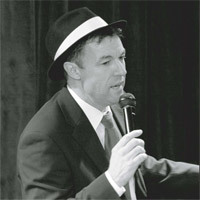 Music from Frank Sinatra, Michael Bluble, Tony Bennett, Sammy Davis Jr, Dean Martin, Nat King Cole and more. The hit tribute show 'Rats On Stage' perfectly captures not only the wonderful music and comedy of the original legends, but also the remarkable personalities of the stars who truly ruled the entertainment world. This has been achieved by carefully selecting the best tribute artists for the roles of Frank Sinatra, Dean Martin and Sammy Davis Jr. 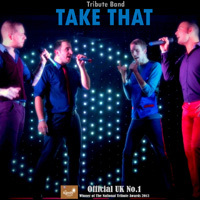 These guys not only sing like their heroes, when on stage they physically resemble them, share their unique mannerisms and even talk like they are at the Sands taking part in the summit. 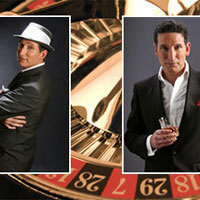 The show is a regular attraction at Theatres, Casinos, Hotels, Holiday Centres and Universities in all parts of the country. 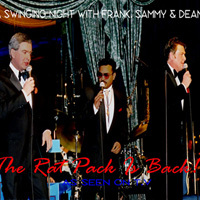 The Rat Pack Tribute Show is delivered with bona fide stage presence, bringing red-carpet style at no extra charge. 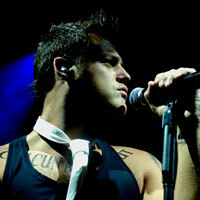 He performs effortlessly not only the less challenging songs but also the more vocally difficult. He uses only the highest quality live recordings of American big band arrangements or can be backed by anything from a piano to full orchestra. 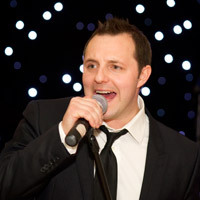 He has performed at a huge variety of venues ranging from world class hotels, corporate events, jazz clubs, stately homes & chateaux, museums, TV companies, racecourses, an airshow and a premiership football match; his long list of high-end clients is both impressive and enviable. A truly stunning and mesmerising show capturing the sheer brilliance that is Michael Bublé! Featuring all his greatest hits including 'Home', 'Everything' and from the latest album 'Crazy Love', 'Haven't Met You Yet' and many, many more. Truly Bublé has an amazing talent and the way he perceives the man himself will have the hairs on the back of your neck standing up. 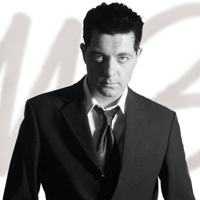 A combination of his own interpretation, an astonishing voice and of course the remarkable resemblance to Michael Bublé himself will make this a show you will never forget. 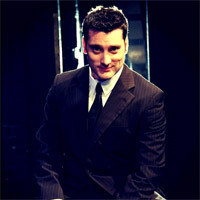 A tribute to the new swing sensation that is Michael Bublé. 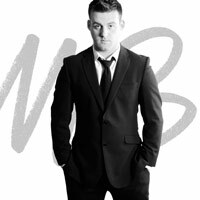 This show includes Bublé's own UK chart hits 'Home', 'Everything' and 'Lost' mixed with a selection of Bublé's trademark bigband standards taken from his three UK chart topping albums, covering artistes as diverse as Nina Simone, Queen, Bobby Darin, Stevie Wonder, Frank Sinatra, Mel Tormé, Peggy Lee, Van Morrison and Dean Martin. This sophisticated show spans seven decades of music. 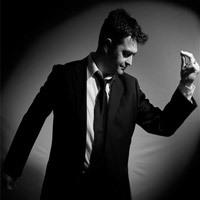 Jazz, Swing, Blues, Pop, Soul and Rock & Roll are all given the Bublé treatment.